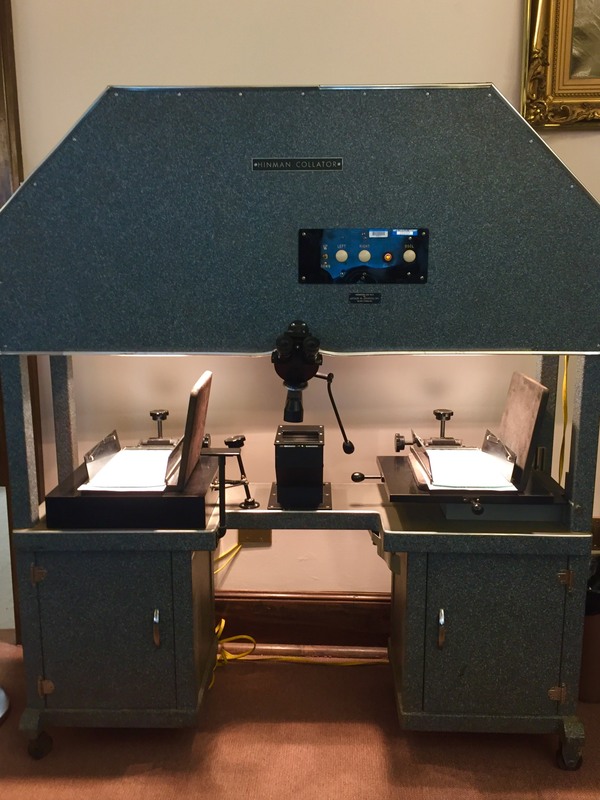 The Hinman collator is a device used to facilitate close comparison of documents to spot slight differences in text. There is a collator in the Special Collections Research Room that may be used by patrons wishing to collate books in our collection. Use of the collator is by appointment only. Please email wilsonlibrary@unc.edu with your request, including citations for the books you wish to collate. If you wish to collate an item in our collection against your own personal copy of a book, let us know in your request. Once we have checked for any conservation issues with your request and approved usage of the books, we will be in touch with you and arrange an appointment time. Staff will be able to assist you in using the Hinman collator if needed.